Catering Executives, Do You Know Who Your Competition Is For Indian Weddings? When you’re thinking about who your competition is for Indian weddings it might be surprising to some Venue Catering Sales Teams that your competition is more than just your immediate neighbors and the venues closest to you that are in your comp set. Indian consumers start their venue buying process by narrowing a regions(s) where they’re considering i.e. Southern California. But SoCal is a HUGE area! You have all the way from Palm Springs to San Diego. And believe it or not, it’s not out of the realm for couples and their families to consider venues across the entire region. Let me share an example with you. Last year we worked with a couple that sought an oceanfront, full service resort for their wedding venue (at first). They even padded their wedding budget once they realized how much resorts cost. We suggested a few resorts in South Orange County and they fell in love with one with whom they did several rounds of negotiation and visits, but the venue was just a little too much out of their budget. They proceeded to consider other venues, ranging from hotels to DIY spaces. They ended up at a DIY, inland ranch about 100 miles north…literally the complete opposite of what they originally sought. What this scenario illustrates is that venue competition – for Indian weddings – is not the same as it is for other weddings. Couples are willing to look across shundred of miles and across a multitude of venues. So let’s explore how venues are evaluated for an Indian wedding. The number of venues that can host an Indian wedding is significantly smaller than those that can host Western weddings. So the impact is that your competition pool is smaller but geographically wider. how will the venue be perceived by our family/friends? One of the biggest trade offs that couples make in their venue buying decision is how to divide their wedding budget amongst the venue, food and decor. Those are the 3 biggest chunks of any Indian wedding budget. A consumer is thinking to him/herself, should I go for a less costly venue and spend more on food and decor? Or should I spend more on a venue where I might need less decor? Regardless of whether a couple has a $50,000 budget or $350,000 budget they still have to make these trade-offs. And the more catering managers understand what their prospects value, the better they can negotiate, tailor offerings in each scenario, and compete with other venues. So how does a Catering Executive determine where they stand relative to their competition? Where venues lose marketshare is when there’s a value perception misalignment. If an oceanfront venue costs as much as a landlocked, all indoor venue, what do you think consumers are going to choose? Venues that don’t take the time to study their offerings relative to others in this market segment are losing marketshare in Indian weddings. Consumers think they ought to pay less for the landlocked venue which has perceived lower value and benefits compared to their waterfront counterparts. Does this mean the Indian market isn’t a good fit for the landlocked venue? Frankly it could mean that but, how will you know unless you try different pricing models and packages? And are you ready to give up on such a lucrative market without trying to see how you could capture that business? Is there a segment of the Indian market you could profit from? Like all markets there are segments in the Indian wedding market too. It’s a misperception to think that ALL Indian weddings are $150,000 affairs. $100,000 is the average Indian wedding budget which means there are plenty of weddings with budgets above and below that! Remember, you’re selling a physical space as well as a set of services in your catering package. Those services can make or break the deal and reframe your venue’s value perception. So your job is to create packages that the consumers will value. When most people think of Indian weddings they think of these huge, elaborate, expensive, multi-day events that cost no less than $150k. They are big elaborate, multi-day events but the reality is Indian wedding budgets range from $40K and up. Takeaway #1: it’s not just the luxury venues that benefit from this market. Couples are getting married at full service hotels, convention centers, golf clubs, and banquet halls as well as luxury resorts. Takeaway #2: let’s look more closely at the $40k starting Indian wedding budget. Indian wedding budgets in the United States start at $40K. The average Western wedding budget in the United States is $33k. That should tell you that the Indian wedding market is worthwhile. Contact us about marketing your venue directly to the Indian community. So, with Indian weddings you’re looking at revenue starting at $14,500 not including the room block. With Western weddings, $33k is the average, so you might make $10,000 or even less. 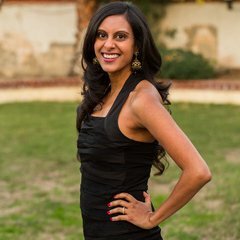 How would your overall revenue goals be impacted if you closed even just 1 Indian wedding in a year? What’s your profit margin on an outside catered wedding? What’s the average revenue your venue currently gets on a Western wedding? What’s the profit margin? Now compare this info to a few difference revenue and profit scenarios with Indian weddings. I would bet that the revenue and the profit margins on Indian weddings is higher. Note: That $14,500 revenue I discussed earlier, that’s just F&B revenue. Most Indian weddings take out a room block as well, so for hotels, resorts and lodges, that’s additional revenue – and not just additional revenue but quality revenue after all, for hotels and resorts sleeping rooms are your bread and butter! Indian weddings come with large guest counts, open bars and room blocks. Catering Executives, what value do you place on leads that come with all of that additional revenue attached vs. others that don’t? In other words, on more efficient leads? If you’re considering getting into the Indian wedding market or increasing your marketshare in Indian weddings this analysis is one way to decide. The other part to factor in is the more tactical side – the logistics of an Indian wedding and whether a venue can accommodate the unique needs. Contact us to learn more. Venue competition in the Indian wedding market is not the same as it is for Western weddings. Part of this is based on the consumer mindset and part is based on the logistics of an Indian wedding. Many venues traditionally think of their competition as their neighbors as well as the closest venues in their comp set. For Indian weddings the geographic landscape under consideration spans 100 miles and across a variety of venue types – full service hotels, resorts, convention centers, banquet halls and golf clubs. I hope this article has been helpful to you. If you have comments, questions or stories you’d like to share, feel free to post them in the comments below. Follow ShaadiShop on Facebook, Instagram, Twitter, and Pinterest – whatever your preferred media is, as we frequently publish articles for venue sales and catering teams. Schedule a demo to learn more about marketing your venue on ShaadiShop. We offer low investment packages for venues just starting out in Indian weddings as well as options for venues looking to increase marketshare and still options for venues that are knee-deep in Indian weddings seeking consulting and more personalized services. Wherever you are with this market we have a unique solution designed for you.